Best TV Projectors of 2017 - Watch TV on a Giant Screen! Is your large screen TV just not large enough for those movie nights? Or do you want to have your mates over to watch that Euro final together? Whichever be the case, TV projectors offer you unrivalled realism on as large a screen as you desire. When watching your favourite movies or sports, the pictures are not only bigger and bolder, but can vary in size depending on the throw-distance, without compromising on visual quality. For a cinematic experience, the EUG X88+ Home Cinema Projector delivers exemplary picture quality. 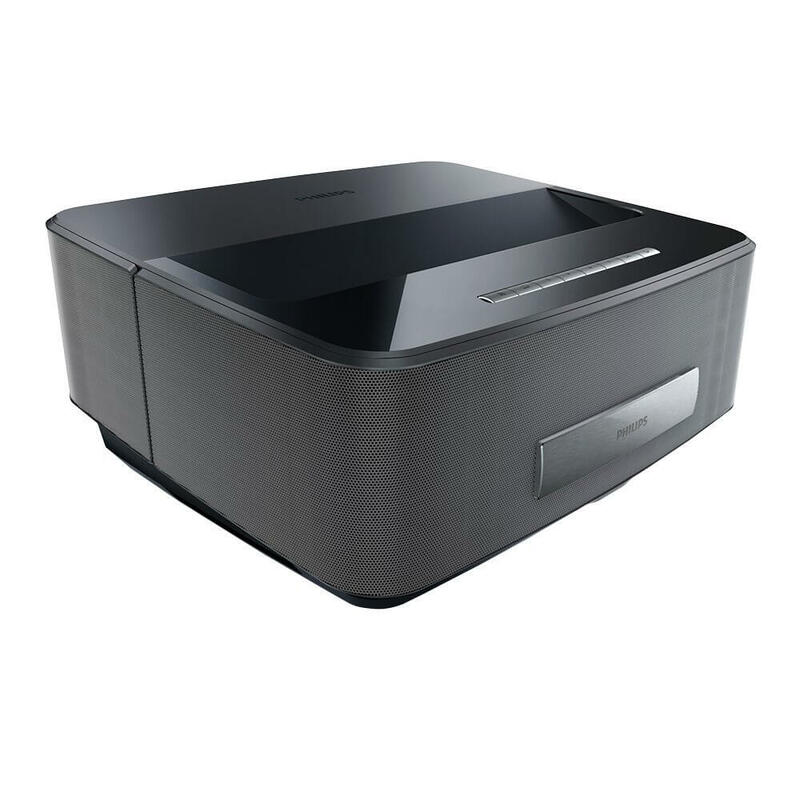 Boasting a screen flexibility of 50-100”, the Philips HDP1690TV Screeneo Smart LED Portable Projector is light and portable, with access to ‘free-to-air’ TV. The Epson EH-TW6600W Home Cinema/Gaming Projector particularly appeals to avid gamers, with its superior connectivity features and sheer design. Our below round-up of the best projectors under each price category is tailor-made to suit your requirements. These projectors portray images in flawless Full HD, and you can stream your favourite shows on multiple channels, or take online gaming to the next level. Retailing at the price that you can afford, this projector is undoubtedly the best in its category. It supports Blu-Ray 3D as well as a wide array of colours. 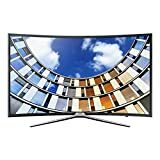 Its native image aspect ratio is 16:9, but is also readily compatible to a 4:3 image aspect ratio, rendering it ideal for educational or home settings. The projector has a native resolution of an impressive 1280×800, enhancing picture quality instantly and is visible even in well-lit spaces. With 3600 Lumens and a 3500:1 contrast ratio, this projector makes sports lovers feel like they’re right at the heart of all the action. At a distance of 11 feet, you can reach a projection size of up to 120 inches. Blu-Ray 3D is also incorporated. The projector’s multiple inputs allow for the connection of a variety of devices ranging from laptops to smartphones via WIFI. HDMI, USB and VGA ports are supplied, apart from traditional wired internet. Upon connecting, the projector automatically transforms HD images to the optimized resolution. It is also compatible with wireless mouse and keyboard. Sound quality is enhanced by its built-in 5W ×2 speakers. Most often though, using it with a home theatre system is recommended for a cinematic sound experience. Weighing 4.8 kg, it is portable and flexible to use. Accessories like remote control, mouse and keyboard are easy to connect and use. Its smooth whirling sound common to most projectors must be mentioned here, although it hardly distracts you while watching. Images on projectors appear slightly dimmer than those on conventional Full HD screens, but the big screen effect more than compensates for it. 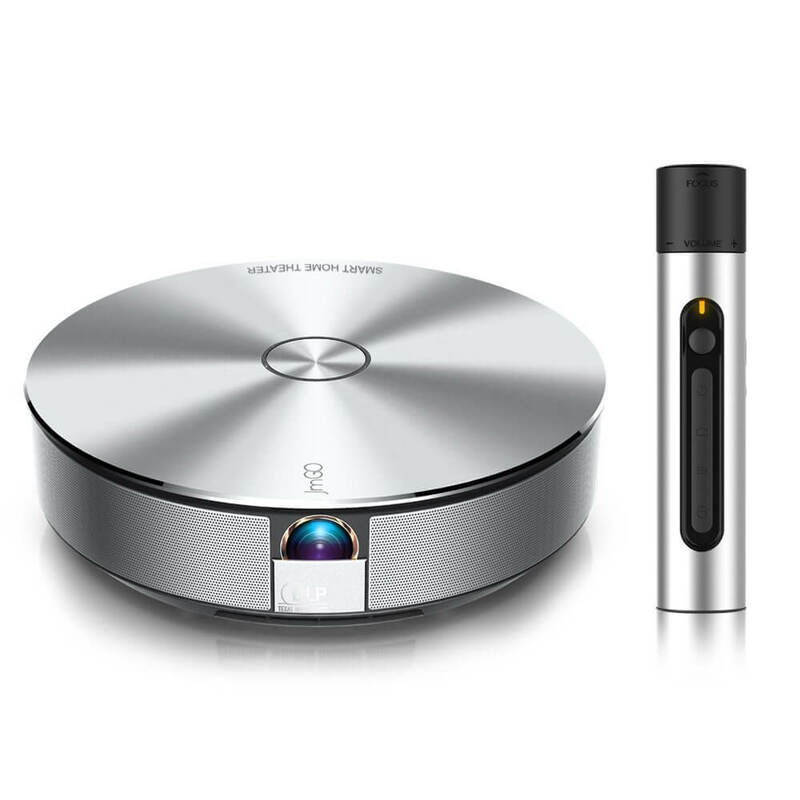 With a futuristic design and circular shape, this projector breaks the norm and is very appealing. It is dust-proof and able to project onto multiple screens simultaneously. Its connectivity options are limitless, making it a perfect fit for virtually any set up. You can surely get what you pay for and much more. The projector has a brightness of 1500 Luminaries @ 1m and a dynamic contrast of 1000:1. The screen projection methods vary from frontage to rear and console top. The projection size may vary from 15-300”. Other features include manual zoom and automatic trapezoidal correction. On top of that, it supports exhilarating 3D movie playback. JmGO G1 supports both wired and wireless internet connections, making it seamless to stream online resources. It also supports RJ45, HDMI, USB 2.0+3.0 and +S/PDIF. Wi-Fi, 2.4 G Module and Bluetooth 4.0 are all built-in, giving the user as much viewership freedom as possible. Equipped with four-direction long stroke speakers, the sound quality is simply fantastic. The speakers create an ambience of an exhilarating cinema-surround stereo experience. All speakers are connected via Bluetooth, eliminating the mess that comes with wires. They are definitely pieces of art and fit in perfectly as part of the home décor too. With a 1 year warranty coupled with 24/7customer support, the deal doesn’t get much better. Its OSRAM LED light bead has a lifespan of 30,000 hours and is reputedly energy efficient and produces negligible heat. Its 2.4G remote control feature enables a fast switch rate. As a multi-functional entertainment system, this projector can be used as HD player, projector, Bluetooth Speaker system, TV Box and also to access internet TV. Its quad-core CPU is a powerful processor that enables the effortless transition. Sometimes there is a small lag when navigating menus but we’re not sure if it’s the remote or the projector itself. The air mouse function is a little imprecise and might cause some frustration for someone with jittery hands. This projector allows you to watch ‘big’, whether it’s a football match, movie or for gaming. It also includes access to ‘free-to-air’ TV. this projector is spectacular, and it brings cinematic magic to any space. With low ultra-short throw, it projects multiple forms of media up to 100 inches. With access to entertainment on demand, this projector integrates USB, HDMI, DLNA as well as SD cards. Wireless connectivity options include Bluetooth and Wi-Fi; the latter is especially useful to online gamers. Internet connectivity can either be wired or wireless. Depending on the size of the room and your needs, you can project to sizes between 50” and 100” with an image aspect ratio of either 4:3 or 16:9. Instead of having just a movie night, the whole family can now have a 3D movie experience at home. The ideal projection distance is 10-254cm. A clear resolution of 1280×800 is achieved with crisp 600Hz pictures. The natural colour combination brings true colours, creating a more immersive experience. The manual focus adjustment enables you to easily adjust the pictures. Its 3D technology supports all 3D models and also converts 2D into 3D. For a real cinematic experience, the alluring deep 26W sound integrated Digital Dolby speakers never disappoint. Together they make a complete unit, so you don’t need to invest in any another sound system to fully enjoy this projector. You can also manipulate sound attributes to your liking. This projector has a minimum throw distance of 18 inches, so it’s not a short-throw projector. The remote control is fairly large with lots of keys and does not have a backlight which might cause some difficulty to operate in the dark. It has a brightness of 700 Lumen which is considered pretty low for a projector, as most start at around 2000-2500 these days. You will need to keep the curtains closed and turn the lights off to enjoy it properly. 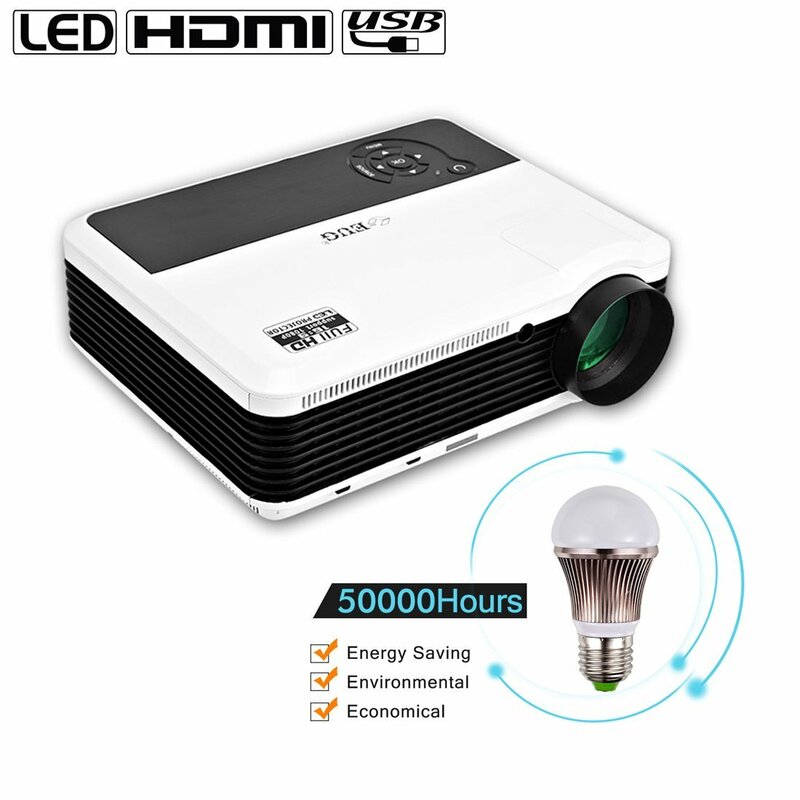 Projecting pictures in 2D and 3D and in Full HD quality, this compact projector can avail in affordable price. Epson has designed it to achieve a cinematic experience at home for games and films alike. With wide horizontal and vertical lens shift, it can be positioned in any room with ease. This projector’s Full HD resolution of 1080pixels coupled with 2500 lumens produces bright and vivid images through white and colour light outputs. This stylish projector uses 3LCD technology, ensuring an enhanced level of super-resolution in both 2D and 3D. All videos are exposed to 7 colour modes, two of which are entirely dedicated to 3D. The projector boasts dual HDMI inputs as well as a wireless HD sender. There’s no need to deal with any messy cables as wireless technology is the medium between your projector and WiHD devices. The HD transmitter is inclusive of 5 HDMI inputs, allowing maximum versatility. With a flexible payment plan, there’s no reason why you shouldn’t have this futuristic projector that comes with no rainbow effect when watching 3D films. Uncompressed Full HD imagery is portrayed without any visual or audio delays, ensuring a pleasurable entertainment experience. A hefty Price tag and Built-in speakers are the only minor setbacks, and sound can be compensated for by including a sound system to create a truly immersive experience. Its wireless connectivity would especially be useful when deciding and settling on a sound system. The package also contains a pair of RF 3D glasses, wireless HD sender and a remote control with batteries. With its easy setup, off-centre positioning is easier due to wide vertical and horizontal lens. 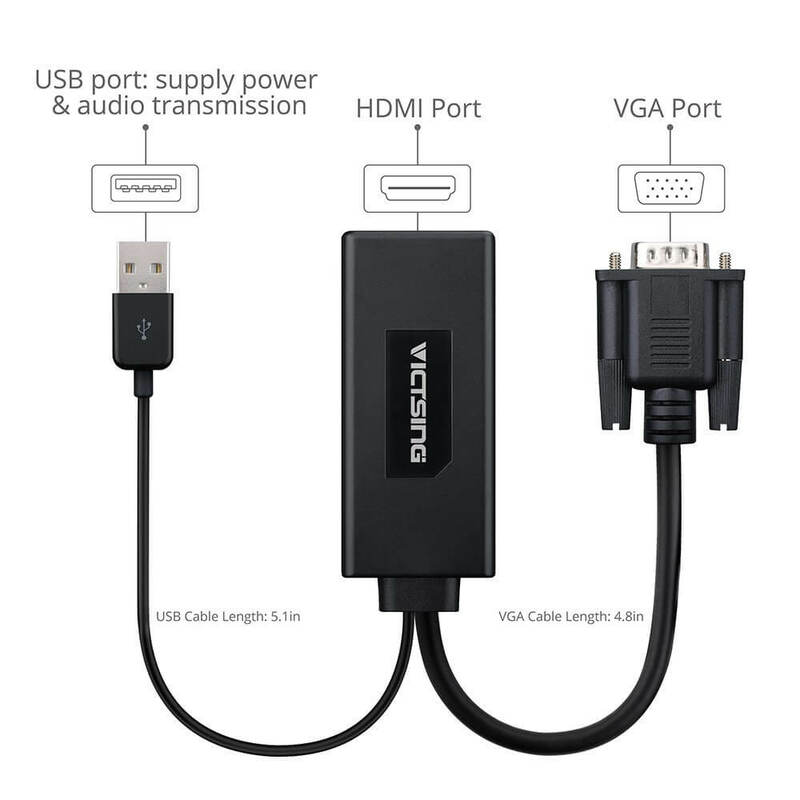 The VGA To HDMI Adapter, VicTsing® is powered with advanced material and made with a high-performance conversion chip. The VGA interface supports 1920×1200 resolution while the HDMI interface supports up to 1920×1080p/60Hz resolution. 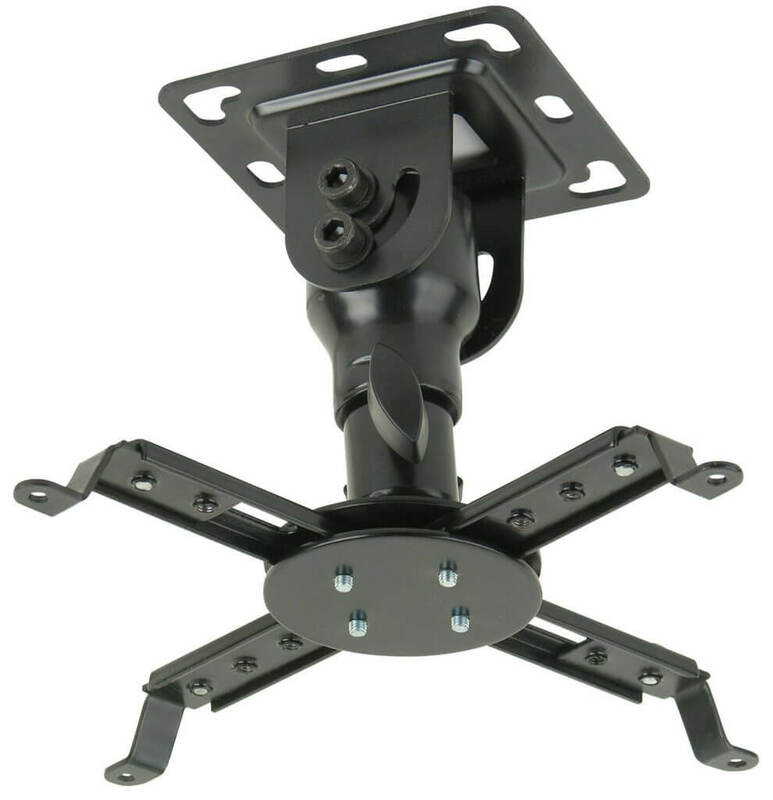 The UMount Heavy Duty Universal Mount Bracket Holder supports up to 10kgs and is positioned 155 mm from the ceiling. It tilts 30 degrees both way and rotates 360 degrees. 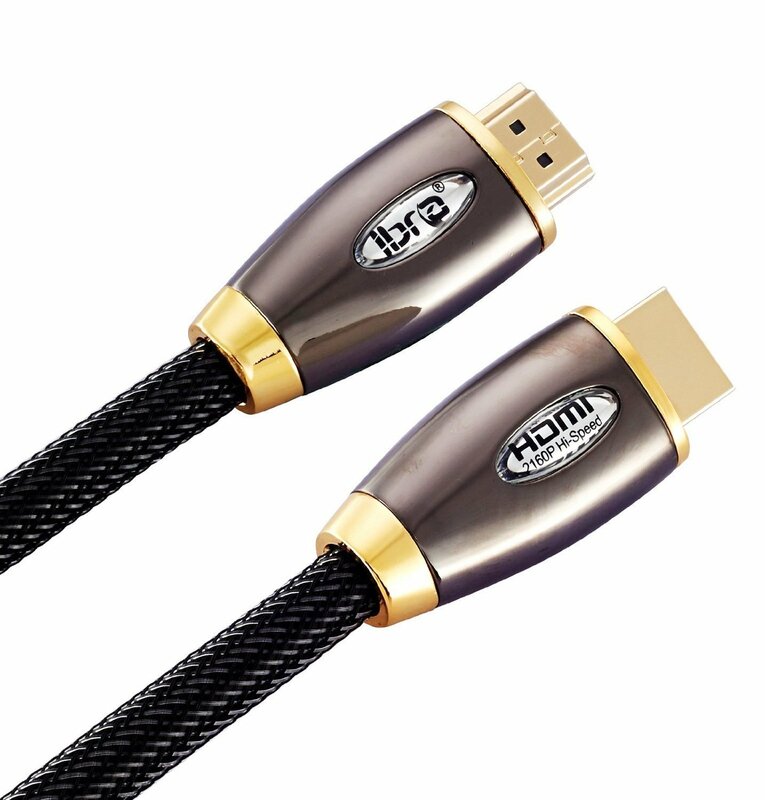 The IBRA® 10m High Speed PRO GOLD RED v2.0/1.4a HDMI is of superior quality and is compatible with both 2D and 3D. Its tough braided exterior assures durability. Equipped with a remote control, PCW120GE 120″ HD Projector Screen glass beaded projector screen offers unrivalled picture clarity due to a high-gain glass beaded screen. Perceived image clarity is proportionately increased across black borders. It can conveniently be mounted on any wall or ceiling. When it is fully retracted, the screen measures 298×10×10 cm. Unlike other projecting surfaces, advanced technology prevents it from yellowing, which would otherwise cause fading in pictures, deformation and even emission of odours. Its compatibility extends from 3D to Full HD projectors, offering the user exquisite cinematic experience right at home. The video presentation is boosted when using this projector screen. 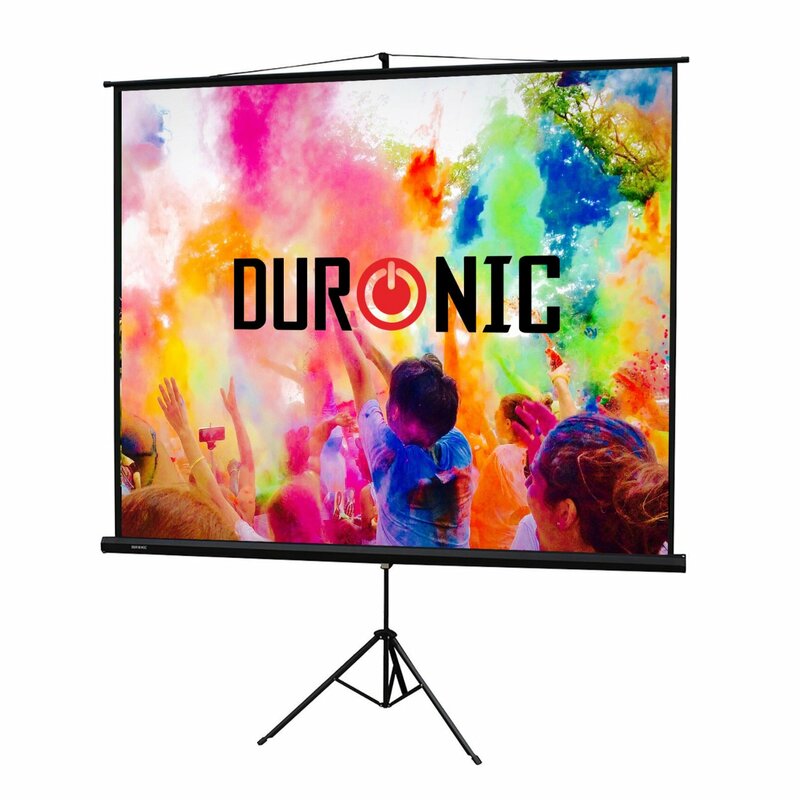 Duronic TPS86/43 Black Tripod Projector high-quality white screen is easy to carry around as it folds neatly. This is enhanced by the carrying handle. Its overhead hanging arms support the screen, allowing projection of up to 86”. It is ideal for offices and homes. It measures 175×131 cm, and when folded has a length of 192 cm. 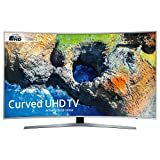 Looking for the Best Curved TV?